Wandering Around Seattle Center ~ Learn, Live, and Explore! The site of the 1962 Seattle World's Fair, Seattle Center used to be a place to go for the panoramic city views from the top of the Space Needle or the thrill of the rides and games in the arcade or the first stop on a monorail journey into the downtown shopping area. By the way, a fun fact about the monorail is that it was designed by the same company that designed the monorail at Disneyland in 1959 - ALWEG. 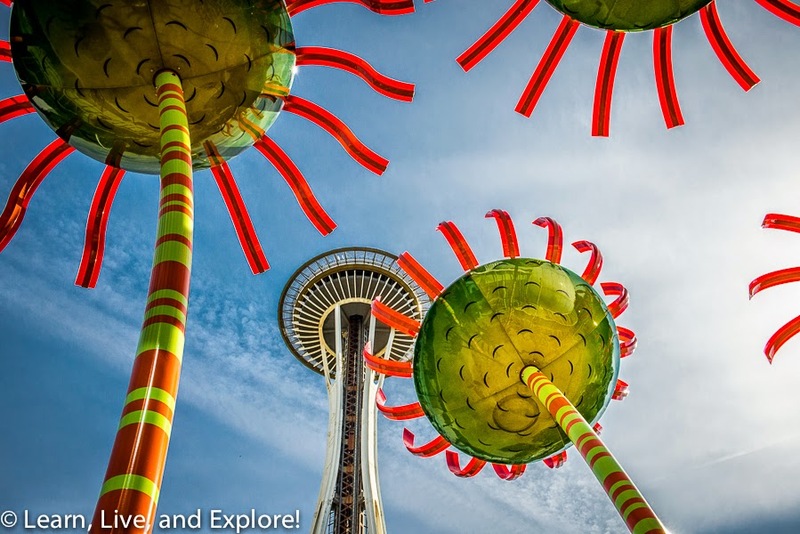 Today, the Seattle Center still has the Space Needle, but the land is occupied primarily by museums such as the Pacific Science Center, the Experience Music Project developed by Microsoft's co-founder Paul Allen in conjunction with the Jimmy Hendrix family, and the small Dale Chihuly Museum. To visit all the sites, prepare to fork over a lot of money! 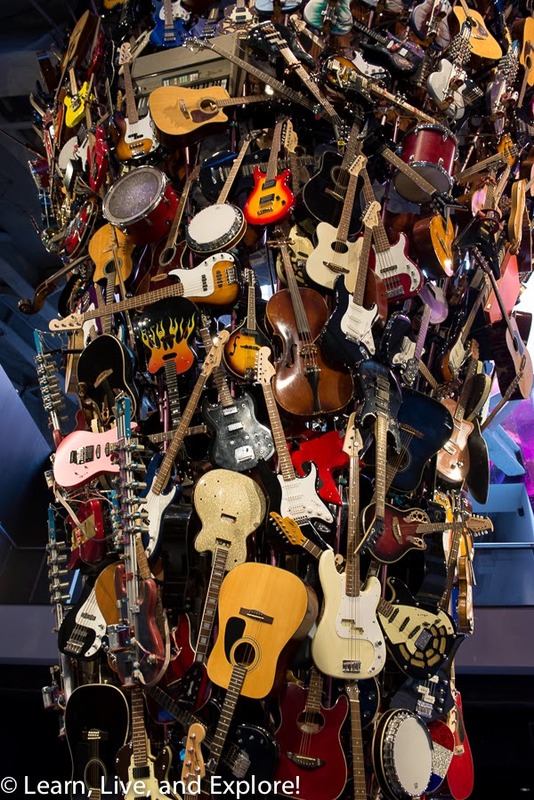 EMP Museum (formerly the Experience Music Project) is housed in a building designed by the world renowned architect, Frank Ghery. Personally, I'm not a fan of his work, finding it distracting and confusing rather than interesting or innovative. But that's just me. In addition to temporary exhibits, the museum is a rather focused collection of permanent exhibits. 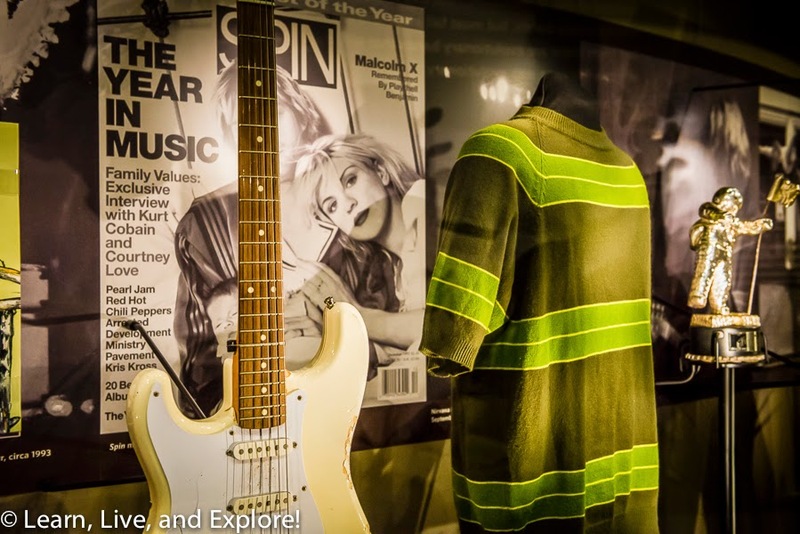 First, you can tour the Nirvana room - it's Seattle, there has to be a room dedicated to grunge. 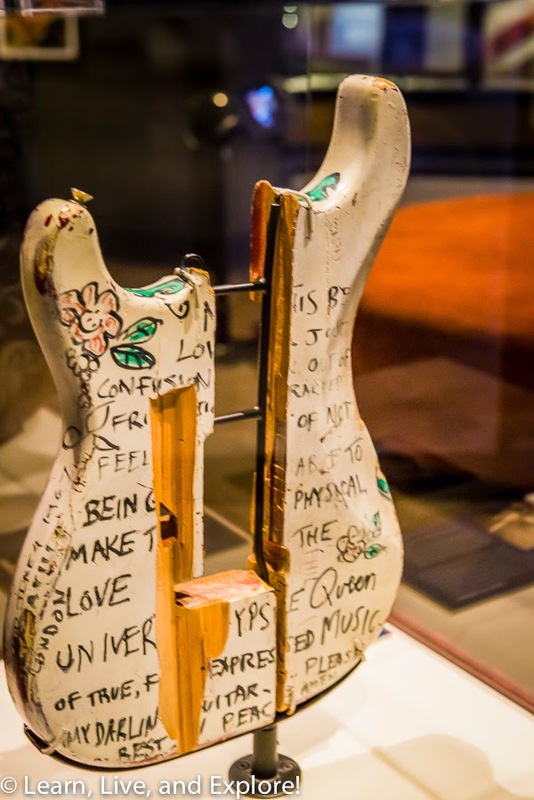 After your trip through the early 1990s, you can head into the guitar gallery. 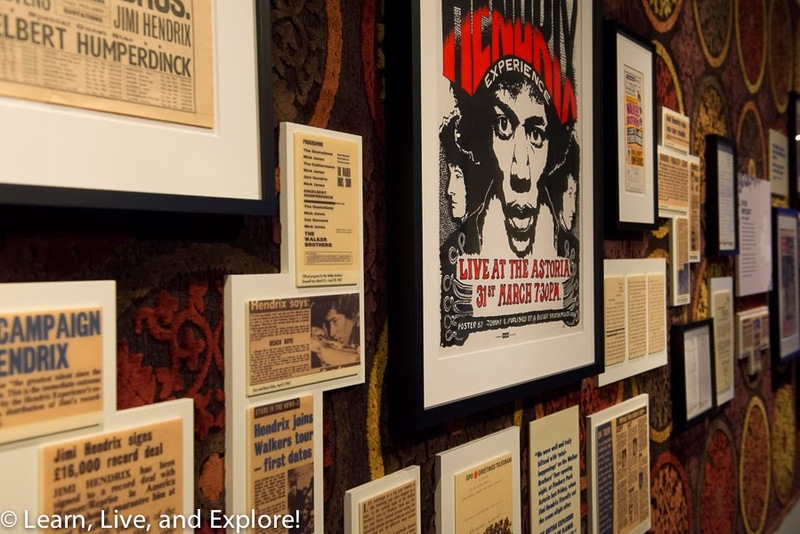 The final exhibit rooms in the music section are dedicated to the short musical life of Jimmy Hendrix. Upstairs in the music section is a sound lab where you can, sort of, learn to play songs. I tried my hand at a little "Smells Like Teen Spirit" on the electric guitar. Returning downstairs, you pass into the other section of the museum - from music into fantasy and science fiction. Here I found a replica of the metal sword throne from the popular show, "Game of Thrones," available for you to sit on and snap that critical Facebook/Instagram photo. Along with some of the "Game of Thrones" actor's costumes, additional costumes from popular fantasy shows and movies were in glass exhibit cases. All in all, I was a little perplexed by the museum and the poor quantity of items being exhibited for the ridiculous price ($18-23 for an adult, unless you get the Seattle CityPASS that gets you into the Space Needle, Pacific Science Center, EMP, Aquarium, and Harbor Cruise for $64). I was also annoyed because they tempted me with a Beatles 50th anniversary poster of their first trip to America, only to find no exhibit with memorabilia, just a short video clip. Not a nice thing to do to a Beatlemaniac like me! 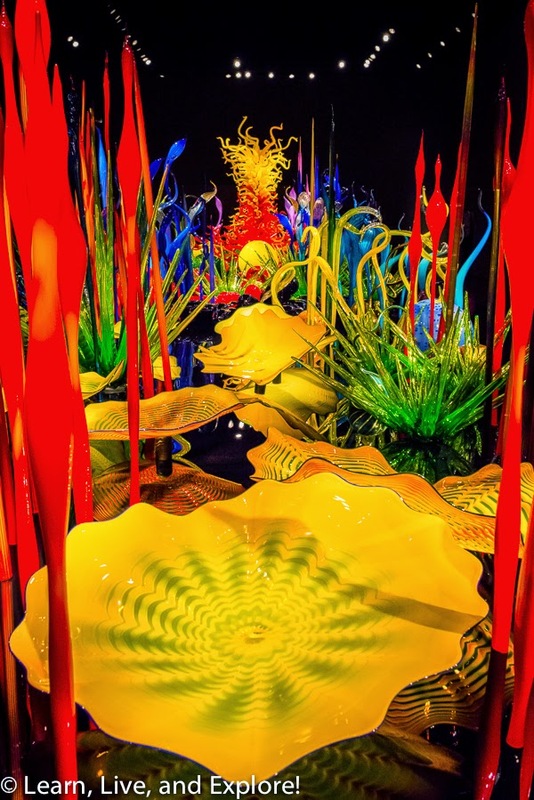 Speaking of expensive, next door to EMP prepare to drop another $19 for a ticket ($33 combined with the Space Needle) to see glass works by Dale Chihuly at the Chihuly Garden and Glass Museum. Yes, they are indisputably beautiful pieces of art, but I think I've just become very spoiled by all of the free museums in Washington D.C. If I could price my own ticket, maybe $10 max was the value I perceived. 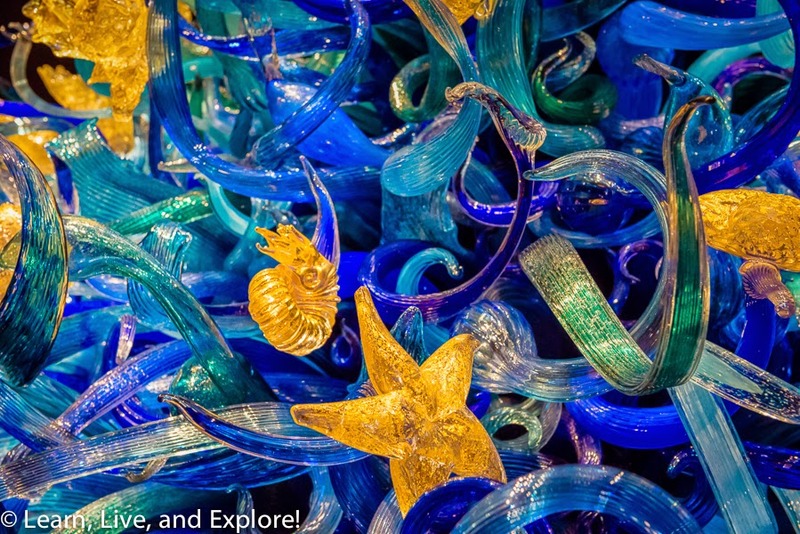 Two of the rooms are occupied by massive glass sea sculptures. 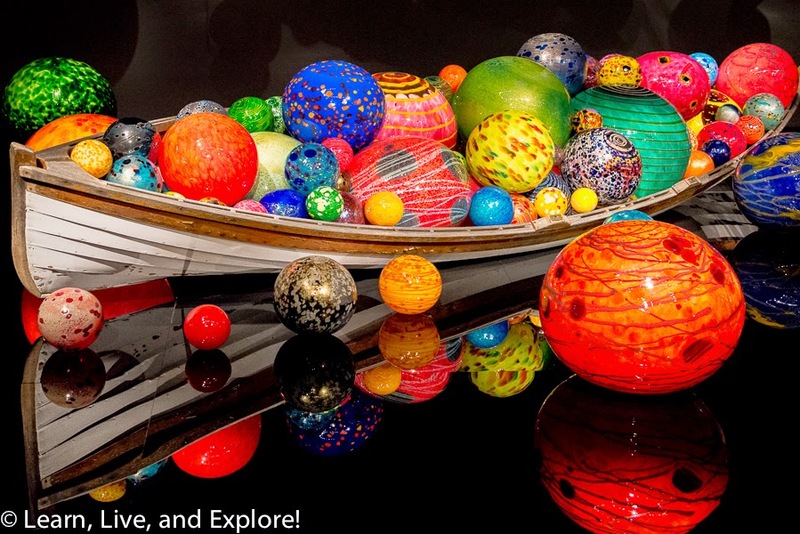 Another piece I liked was the boat filled with colorful glass spheres. The gardens contained a random collection of Chihuly pieces intermingled with plants - spheres, glass yuccas, other glass objects stuck in the ground, etc. While I do like a good science museum (have you been to the one in Boston? ), unfortunately time constraints dictated we had to pass on the Pacific Science Center. The featured exhibit was one on international espionage, so with the Spy Museum here in Washington D.C., I didn't feel like I was missing out on too much that I wouldn't be able to take in on a future visit. For anybody who is buying a reward or quite possibly acquiring alone and independently, a female's gold observe is an individual area associating attractiveness. And at the same time since it really is created with any rare metal, additionally it is actually one idea of price. A new precious metal replica louis vuitton handbags watch a great item make any cheap replica handbags difference you replica Celine All Soft handbags could possibly an genuine function and / or searching for that thing that will wear smoothly. Everybody is familiar with which rare metal was used because of the beginning related to civilization to demonstrate refinement. With many types out there, you certainly could discover a good view you'd like to have. Gold pieces, as with any additional platinum earrings, come in types. When you need something reasonable test a specific thing throughout replica gucci handbags precious metal plating. If a actually want to acquire durable price in the obtain keep in cheap replica Fendi handbags mind reliable rare metal.